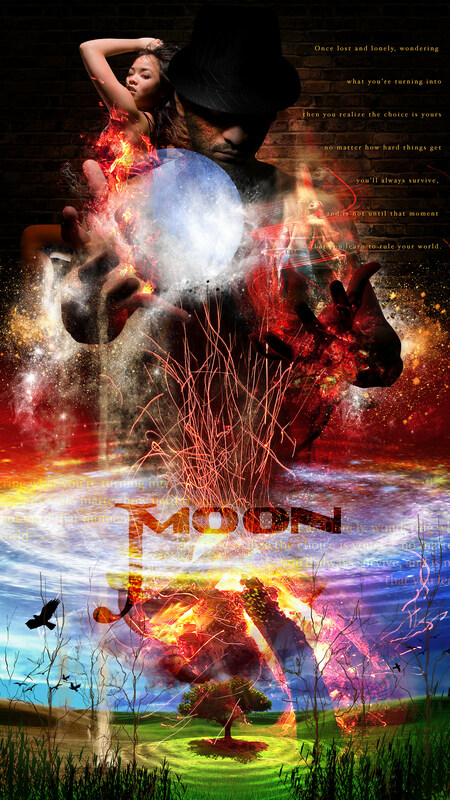 JMoon Designs – Image is Everything!!! Thank you for taking the time to know a little about me. I have been working as a designer since the mid to late nineties. Along with polishing my skills as a designer and photographer since the 90’s, I have also acquired advertising, marketing and business experience with an eye for aesthetic and functional detail. At the moment I specialize in Photography and Digital Composites as well as Graphic Design. If you have an idea or project that needs any kind of visuals, let me know—it’s a matter of timeframes and budgets, as no project is too big nor idea too wild. Imagery and visuals are key ingredients for any project, but it’s in the quality of these ingredients that propels a project to either fail or succeed. Presentation plays a vital role in how you and/or your project is perceived by your target audience. A poorly designed project can send the wrong impression to your clients. My role as a designer is not to just deliver what you think you might need, but also to inform you and elevate your need to a higher standard to deliver and surpass your expectations. Now my role as an artist and passion for creative visuals will explore different possible solutions, to elevate your project or product to deliver positively unexpected results. The best quality for your project is what you should expect from my work, no matter if you're investing one penny or a million dollars. My services range from design and photography to art direction and more. Feel free to contact me if you have any questions about your next project. I work with all types of budgets, from small projects to large productions. Feel free to contact me in regards to your budget. Expect to be well informed prior and through out the duration of your project. I believe in transparency and as such I will make sure we are always on the same page in regards to your project.